Gas powered post driver, great for driving T Bar posts and round metal fence posts up to 1 7/8" diameter. Powered by a Honda 4 stroke engine, this unit is 26" tall, and weighs only 44 lbs. 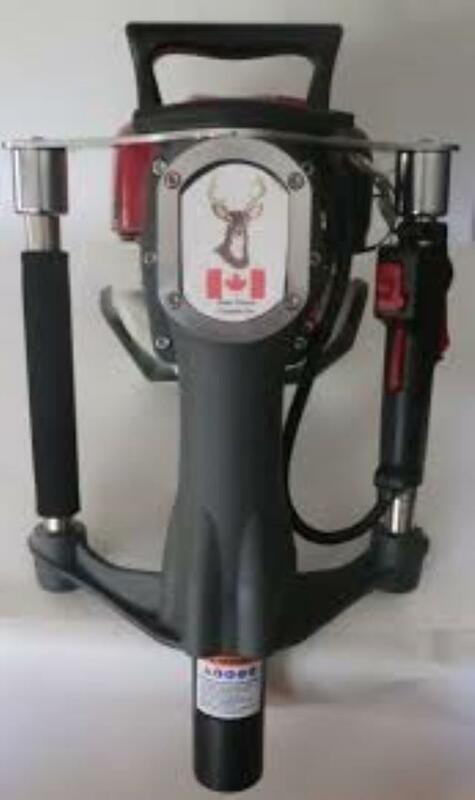 * Please call us for any questions on our gas post driver rentals in Calgary, Alberta.